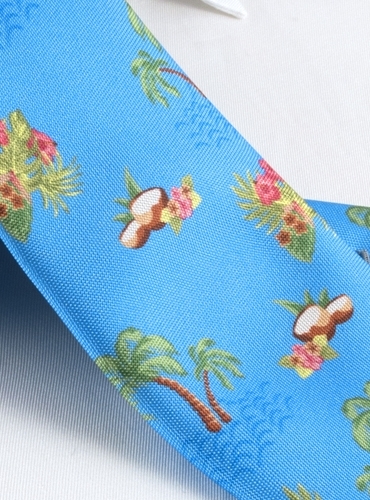 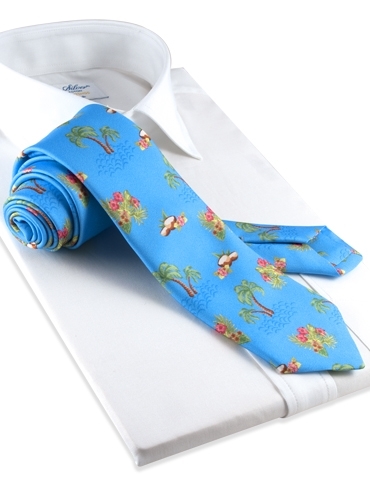 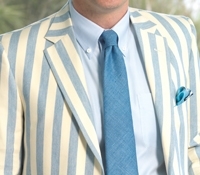 Vibrantly colored printed silk makes this luau motif necktie a delight to wear in the summer months. 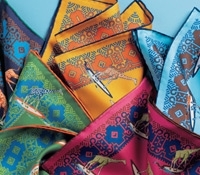 Enjoy it in A-cobalt; B-sun; D-teal; E-coral. 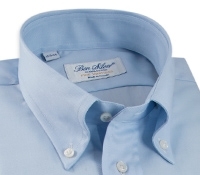 Shown here in A-cobalt.